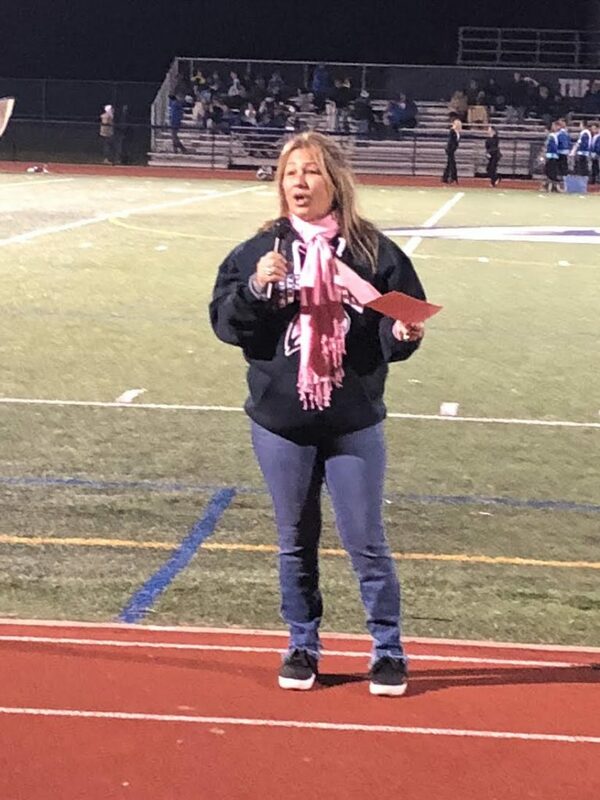 Throughout the month of October, Plainview-Old Bethpage DECA partnered with POB Athletics and a local breast cancer research and awareness organization, Stacy’s Warriors to coordinate the Ignite the Fight Campaign. 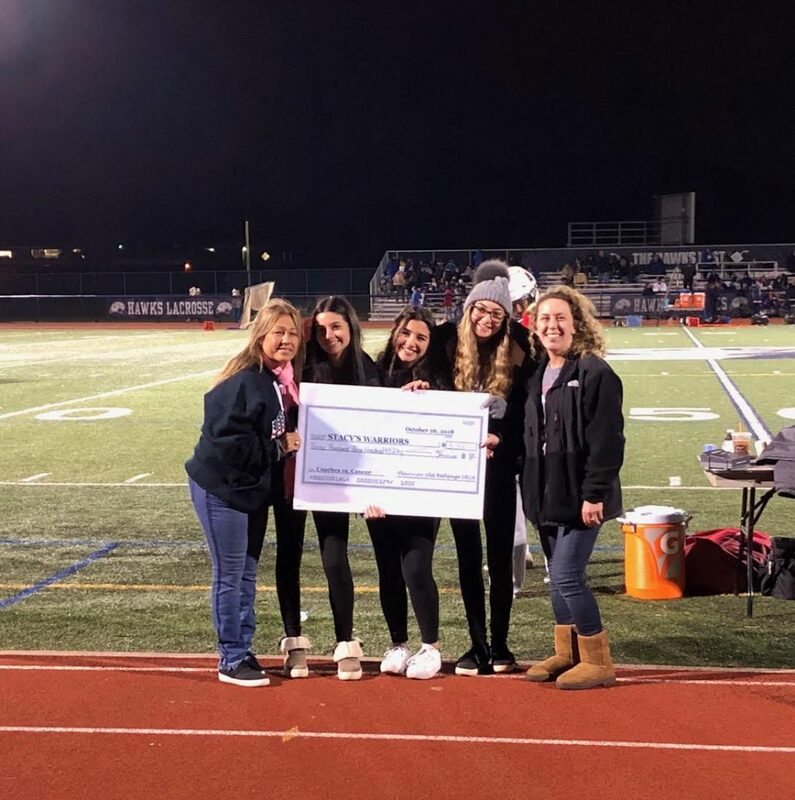 Organized by DECA Seniors Kristine D’Onofrio, Kristin Ferretti, and Gillian Friedman, the ultimate goals of the campaign were to both bring awareness and to increase support/donations for the organization. 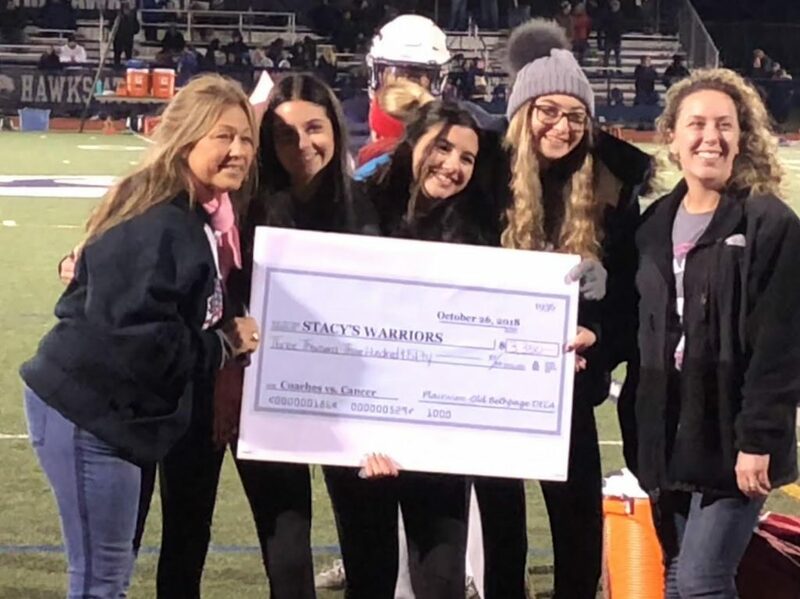 Stacy’s Warriors was founded by Plainview resident and cancer survivor/fighter, Stacy Brennan, in 2012 with the goal of doing everything she could to ensure that someday others would not have to deal with breast cancer. Creation and selling of Coaches vs. Cancer shirts district-wide and at Homecoming. 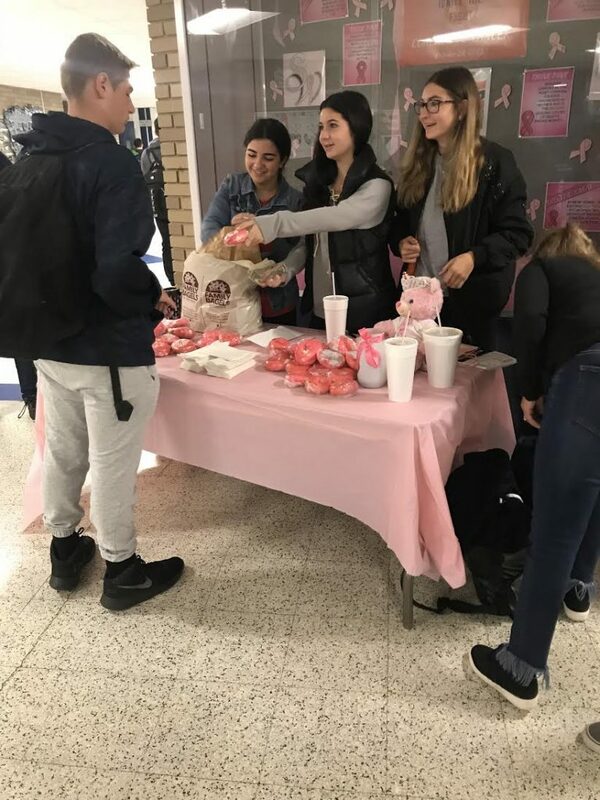 Selling homemade chocolate covered pretzels and chocolate lollipops and numerous school events including Parent-Teacher Conferences and Dig it for Cancer – Girls Varsity Volleyball Pink Out Game. 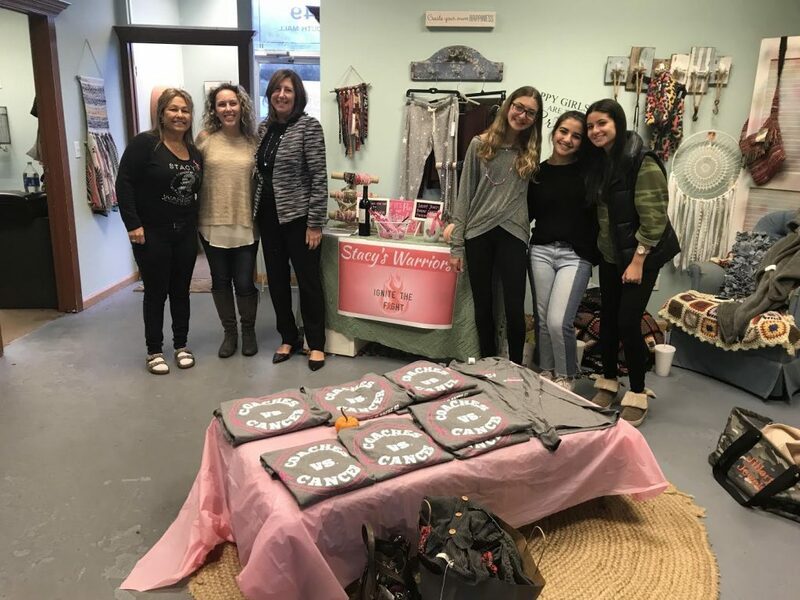 Fundraiser at Carrie’s Closet, a local women’s boutique. Fundraiser at Catch the Wave, a local frozen yogurt shop. The most integral part of the campaign was Coaches vs. Cancer. Over 200 athletes purchased this year’s Coaches vs. Cancer shirts and wore them throughout the month of October to support both Stacy’s Warriors and the fight against breast cancer. 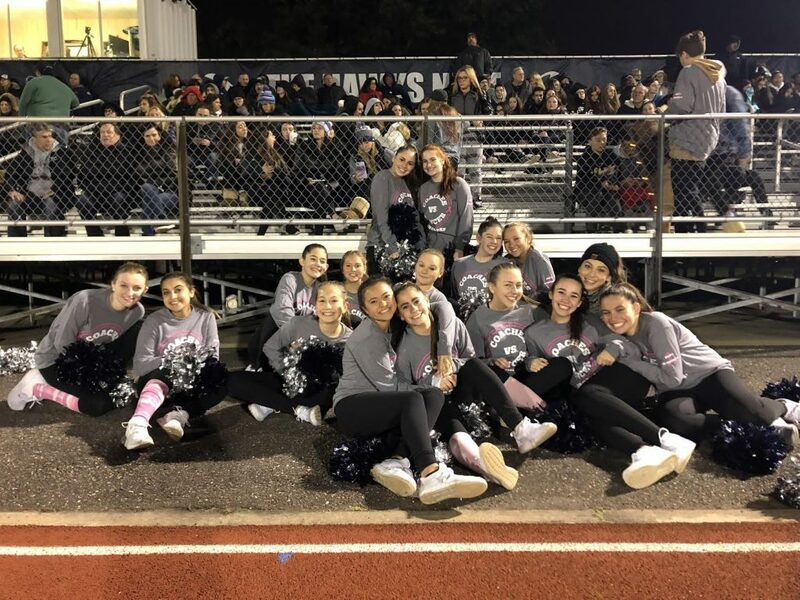 The specific teams that participated included: Badminton, Girls Cross Country, JV Girls Soccer, V Girls Soccer, Kickline, Girls Swim, Cheerleading, V Boys Soccer, V and JV Football, and JV Tennis. In addition to selling shirts after school hours, Coaches vs. Cancer shirts were sold at this year’s Homecoming Game. Overall, the Ignite the Fight Campaign raised $3,350, all of which will be donated to Stacy’s Warriors.